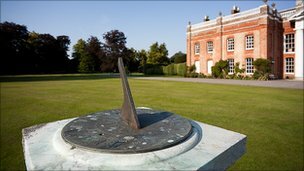 A nearly three-century old brass sundial was stolen in the early overnight hours of August 9 from the grounds of Avington Park in Itchen Abbas, near Winchester (England). Local officials say the dial is large enough it would have required several people to move it. The dial is valued at over £100,000 and is very distinctive. A three dimensional sundial house? You can find it at 10 rue du Diebach, Cosswiller near Strasbourg in the countryside of Alsace in France. 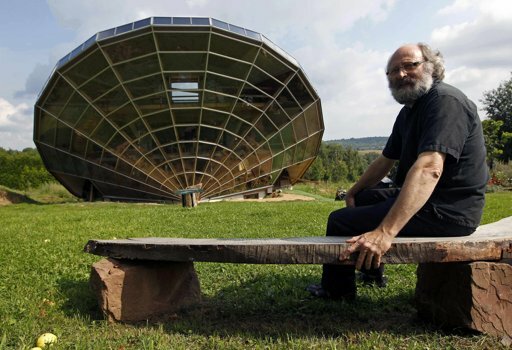 Eric Wasser has created the "Heliodome", a tilted circular building aligned with the earth's polar axis that is a far cry from the old Buckminister Fuller "Bucky Domes". The house has a glassed southern exposure to allow sunlight during the winter, but from the equatorial belt forward the house has a nearly conventional roof providing shade during the summer. 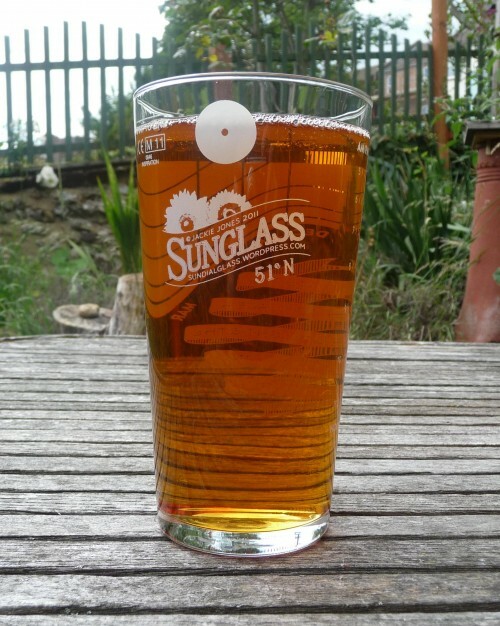 As Wasser explains on his website, "The passive solar house is an architectural volume, a Heliodome, determined by the diurnal and annual trajectory of the sun." Read more about the details at http://www.heliodome.com/equipe.html. One of the most iconic buildings in the world, the Pantheon in Rome is an enduring testament to the power and glory of ancient Rome. At the same time, it has also always posed something of a mystery. 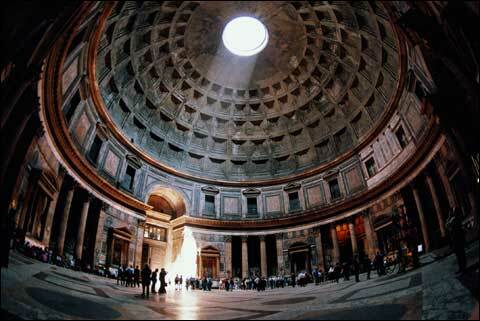 The only source of natural lighting is a thirty-foot diameter hole at the very top of the hemispherical dome, often referred to as the "oculus". Working since 2009, scholars Guilio Magli and Robert Hannah discovered that at midday on the equinoxes, a shaft of circular light shines through the oculus and illuminates the Pantheon's entrance. 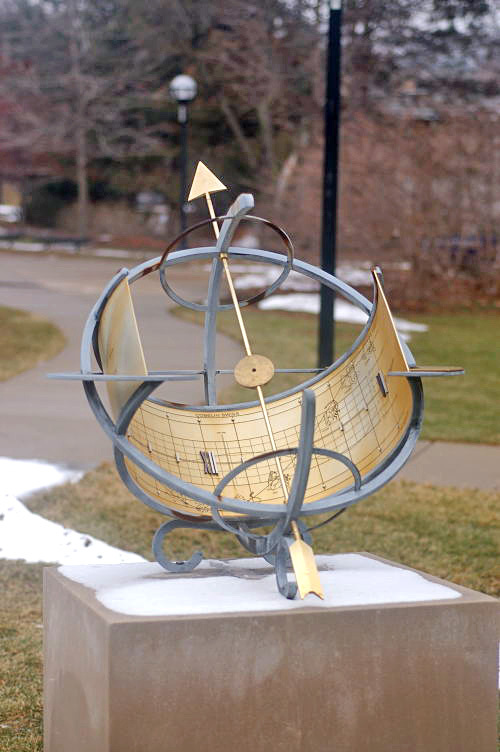 If you look in the NASS Sundial Registry at Dial #617 from Ann Arbor Michigan you will see a lovely equatorial sundial on the grounds of the University of Michigan North Campus near the College of Engineering buildings. The dial exists only as a photo and a memory. Last April between the 13th and 15th it was stolen according to the Detroit Free Press. The bronze equatorial dial has a circular nodus on the polar gnomon arrow to mark the seasons on the broad equatorial band. Where would you look for the oldest dials in the Western Hemisphere? One is attributed to the Pilgrims in Salem in 1620. 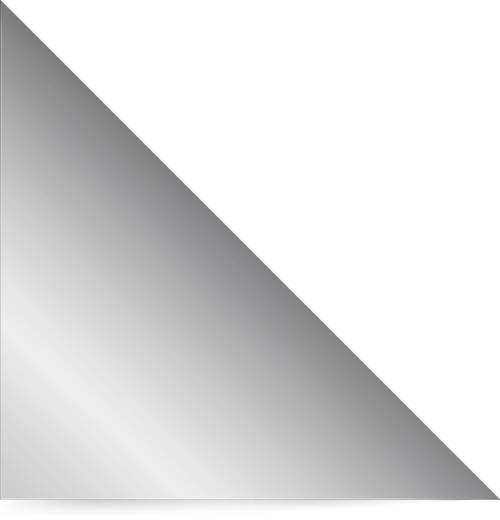 Earlier slate dials were used by Newfoundland fisherman. But La Fortaleza, in San Juan, the oldest Executive Mansion in the New World may lay claim to the oldest sundial. 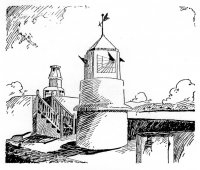 The story starts around 1645 under the rule of Fernando de la Riva y Aguero when a sundial was installed on a tower of la Fortaleza. Download the attachment and read the story for yourself. It Looks Like a Sundial - But Is It? "5.5' stile, hour lines marked by 1/2' wire rope on grade. Total area is about 1000 square feet. Analemmatic Dial" The description comes from a typed letter explaining that the dial was "built for research and marketing purposes". 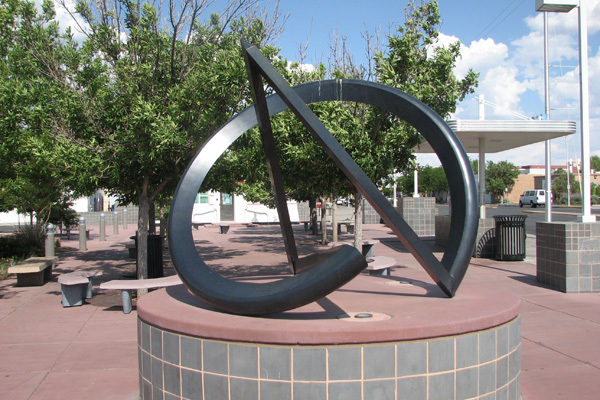 Read more: It Looks Like a Sundial - But Is It? Along with her husband, Mrs. Webster spent much of her life and fortune combing auction catalogs and antiquarian shops to create a collection of early scientific instruments so renowned, it is considered in the same company as the Museum of the History of Science at Oxford University and the National Maritime Museum in Greenwich, England, according to Bolt, Adler planetarium vice president for collections. The Websters are primarily responsible for the world-class collection of scientific instruments at the Adler. NASS is supporting the Adler to catalog their sundial collection enhanced over the years by Marjorie Kelly and her husband.